The author connected B.C. 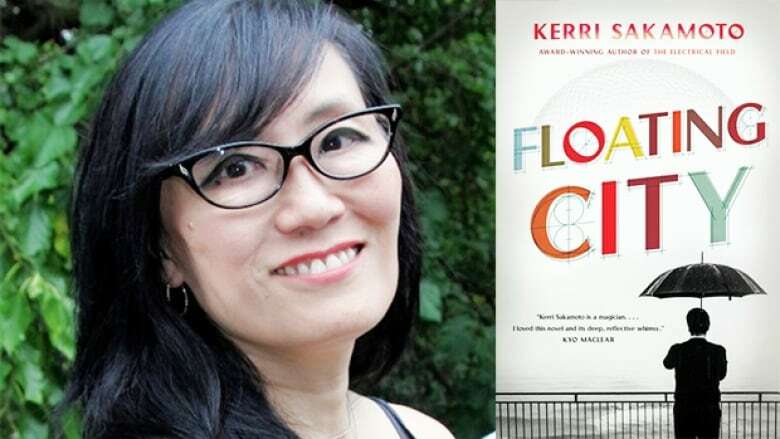 's early Japanese-Canadian history, urban renewal in 1970s Toronto and timeless themes of belonging and inclusion for third novel Floating City. Growing up in Toronto in the 1960s and 1970s, author Kerri Sakamoto's parents were hesitant about sharing too much of their Japanese culture and history, particularly any talk about internment camps, racial abuse and the redress movement. But she wanted to know more; inspired by Joy Kogawa's Obasan, Sakamoto's literary output has focused on exploring her past. Her debut novel, The Electrical Field, was around the legacy of the internment of Japanese-Canadians during the Second World War and won the Commonwealth Writers Prize for Best First Book in 1998. The Toronto-born novelist's latest is Floating City, a modern take on Citizen Kane that features Japanese-Canadian protagonist Frankie Hanesaka who grows up in British Columbia with a dream of making his mark on the world. It's about family, ambition and the costs of avoiding your past history and legacy. In her own words, Sakamoto discusses how she wrote Floating City. "The story has been percolating in my mind since my childhood. There was always a mystery around my grandmother's history. It was known by my mother and my aunts that she had come over from Japan with her first husband, who was a Buddhist priest. But he disappeared at some point and their father was this other man, my grandfather. "This was always something that was part of family lore and has always been of interest to me. And this is on top of the history of my family's migratory path from Japan to Canada, living through the Second World War and moving across the country to Toronto, where I was born." "A friend mentioned to me that in the 1970s there had been this proposal coordinated by businessman John Bassett and commissioned for Buckminster Fuller, the great American visionary and inventor of the geodesic dome. Fuller had sort of a futuristic vision, one that seemed so incredibly magical and otherworldly to me. He was commissioned to create this proposal for Toronto — called Project Toronto — and it included a 20-storey pyramid and floating pod community in the Toronto harbour. "Fuller becomes a mentor for Frankie, my main character.​ Could you imagine a floating hive-like structure in the harbour of Lake Ontario? This was at the time where Toronto was really growing in the inner city. Families were growing and there was the influx of new immigrants. People were starting to flee to the suburbs and looking for a better quality of life. This hive-like structure was supposed to provide affordable quality housing for families." "I was careful in weaving the narrative, step-by-step, as I went along. My editor was amazing as well. He helped me gauge things in telling the tragic aspects of the story and the character's lives. The story is anchored in reality, but balancing magic realism with historical accuracy is about letting your imagination roam."